Dust off your cowboy boots and grab a partner because it’s that time of the year again! 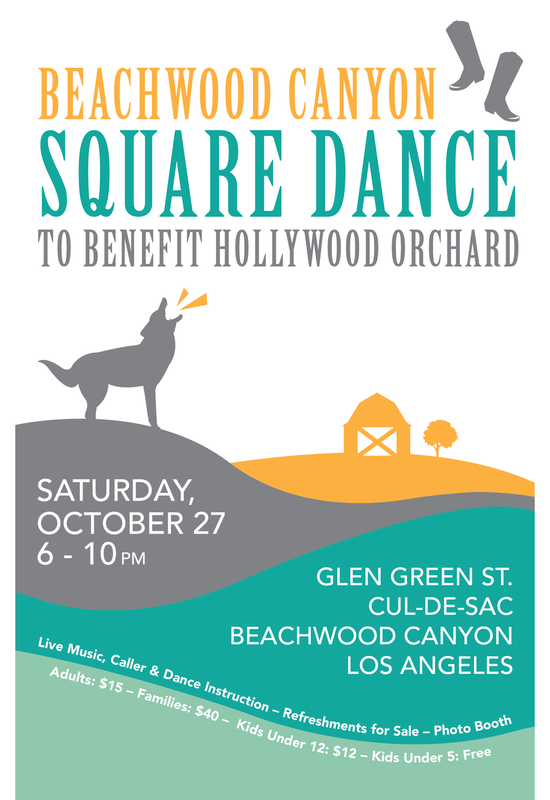 Join us for a fun night of food, dancing, and entertainment at this year's Beachwood Canyon Square Dance on Saturday, October 27. This event is a benefit for Hollywood Orchard, and proceeds will go towards aiding our mission to harvest, use and donate local fruit to communities in the LA area. The money raised will also help us with greening and improvement projects at Cheremoya Elementary, a Title 1 school in our neighborhood, as well as expanded education and field trips for 4th - 6th grade students. 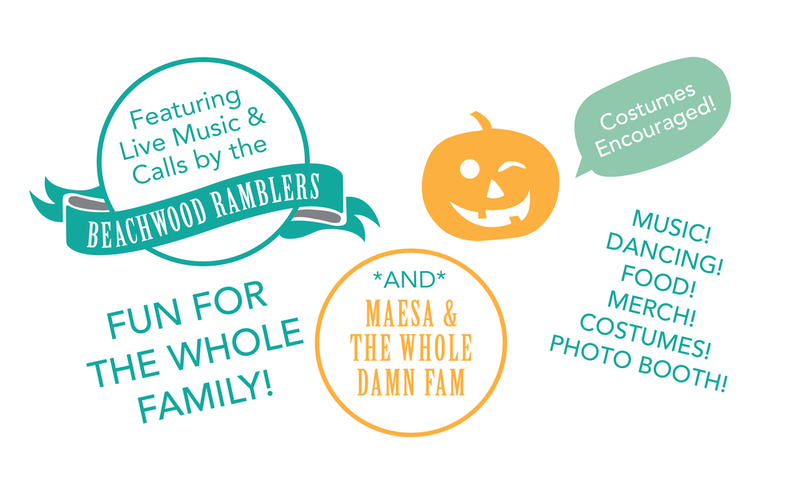 We'll have live music and dance calls from the Beachwood Ramblers, music from Maesa and the Whole Damn Fam, as well as refreshments available for purchase. It’s a night that will be fun for the whole family! Costumes are encouraged! Cash is accepted at the door; Online ticket purchase below. Your Friends Photo Bus will be at the event again this year. Bring home souvenir pics of the night! Parking is limited. If you must drive, please park on Beachwood Drive.